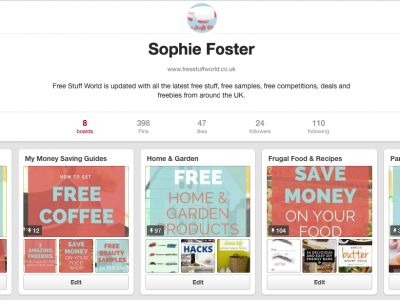 Ok so if you are new to Pinterest (like I recently was) let me give you a brief introduction. It is an amazing online community where you can create boards for absolutely any topic you like and share these with the world. You can pin other people's content or upload your own. And you can follow me on Pinterest today! You can also interact with other users on the site from around the world and just recently, Pinterest added instant messaging so you can instant message someone if you have any questions about their content and get a direct reply. It can serve as an ultimate planning tool for weddings or big trips, but also for everyday browsing at pretty home concepts and household accessories we will never be able to afford, sort of like Instagram but on a big board. So why am I telling you this? Well, as a Pinterest convert I am here to tell you that Pinterest can save you money. That's right, not only can you save recipes and decorating inspiration, but you can save money with Pinterest and here's how. I usually view Pinterest as a search tool, so if I'm looking for outfit inspiration or pretty pictures to browse through, Pinterest is my thing. But recently I've been using it as a tool to find money saving advice and there is a wealth of information on this platform! From finance bloggers to slightly less conventional DIY savers and frugal lifestyle addicts, there are countless pins and boards to trail through to find advice tailored to help you save pennies and find top deals. So if you want informal financial advice from people who have been there or are living a life very similar to yours, Pinterest is an ideal platform to seek this endless advice out. Even if you're looking for fashion tips or if you are on the hunt for something specific, for example 'purple dotty satchel bag on sale' not only will you find an endless list of pins, wish lists compiled by hundreds, brands with similar products and details of offers and sales. You will also find DIY projects and arts and crafts galore from people who love to share their gifts and hobbies via this platform. And if cooking is more your thing and you have a big family to feed, check out the feast of recipes on how to meal plan, make food last longer and how to feed your family on a budget. This is any freebie hunter’s and thrifty person's haven, so if you're thinking of trying it out, follow me today by clicking the big P button! 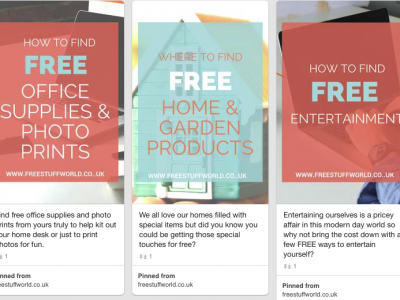 I share all my freebie tips on there and give exclusive advice and I can't wait to see what you've been pinning!